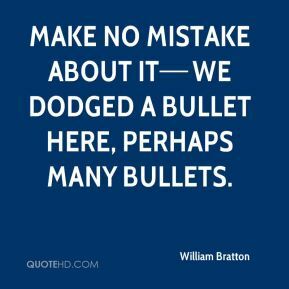 Make no mistake about itwe dodged a bullet here, perhaps many bullets. Money that is spent here, even if allocated to Los Angeles, the county, the region, and the state will benefit ... because we're all about sharing what we acquire. 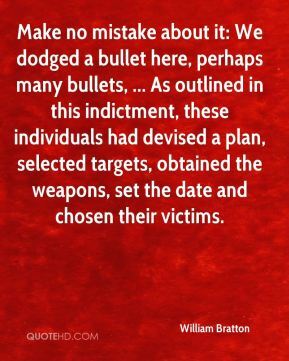 Make no mistake about it: We dodged a bullet here, perhaps many bullets, ... As outlined in this indictment, these individuals had devised a plan, selected targets, obtained the weapons, set the date and chosen their victims. 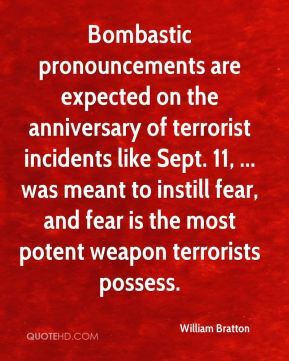 Bombastic pronouncements are expected on the anniversary of terrorist incidents like Sept. 11, ... was meant to instill fear, and fear is the most potent weapon terrorists possess. 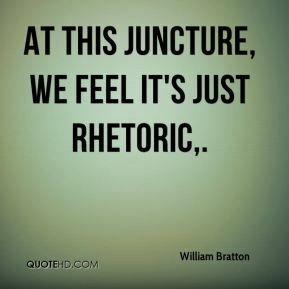 At this juncture, we feel it's just rhetoric. 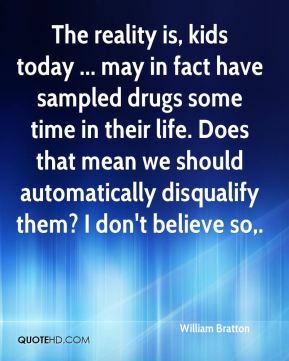 The reality is, kids today ... may in fact have sampled drugs some time in their life. Does that mean we should automatically disqualify them? I don't believe so. 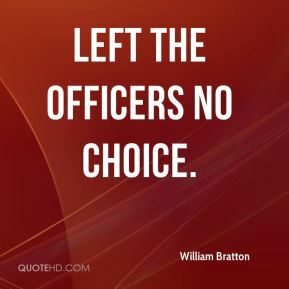 left the officers no choice. 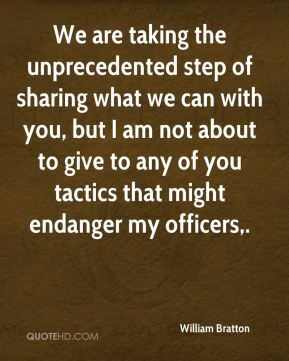 You have more police officers in the year 2000 for a problem that is much less. 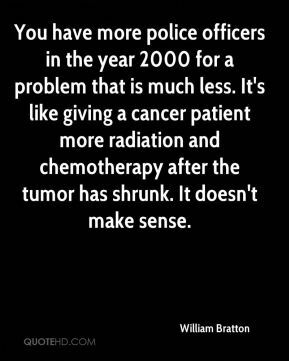 It's like giving a cancer patient more radiation and chemotherapy after the tumor has shrunk. It doesn't make sense. 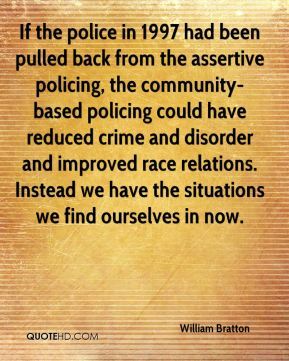 If the police in 1997 had been pulled back from the assertive policing, the community-based policing could have reduced crime and disorder and improved race relations. Instead we have the situations we find ourselves in now. 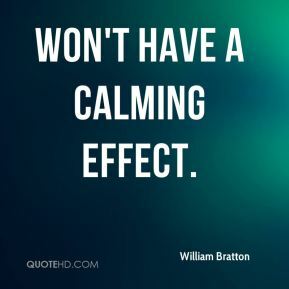 won't have a calming effect.